The road to Adepticon 2015 begins HERE! 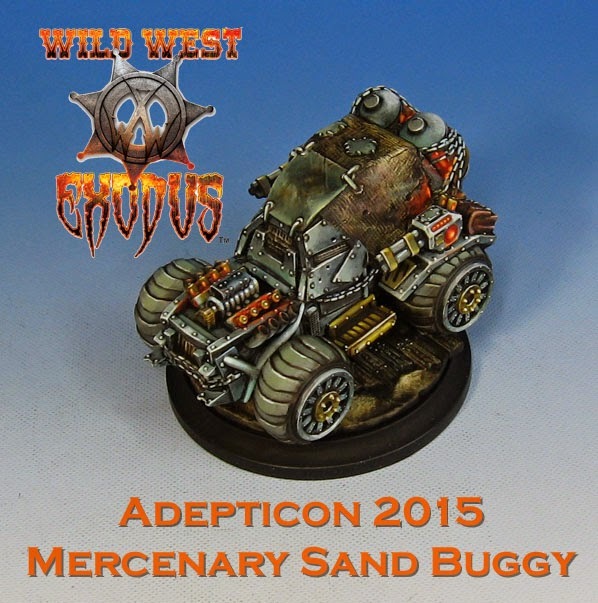 The baddest buggy in town in the special release Mercenary Sand Buggy from Wild West Exodus!! By the time Adepticon "rolls around" so to speak, the Second Wild West Exodus kickstarter will be in its final week. Four all new factions are being added. Dark Nation, The Watchers, The Confederates and The Golden Army will join the other factions for control of the continent... and the world! I will be doing some size comparison shots in a second post later tonight! Stay tuned!!! There is also a charity raffle for a Wild West Exodus starter box!! More like Dragon Knight. 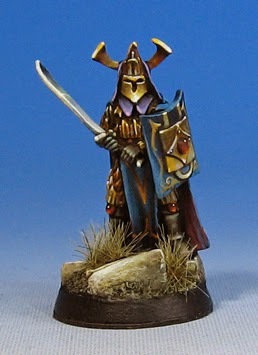 This was a dismounted character figure that I painted for the Easterling army back in the day. I guess if I want to get in any games of LOTR at Adepticon, I am going to have to get back in touch with the game! Yikes! It's been WAAAAAAAAAAAYYY too long.